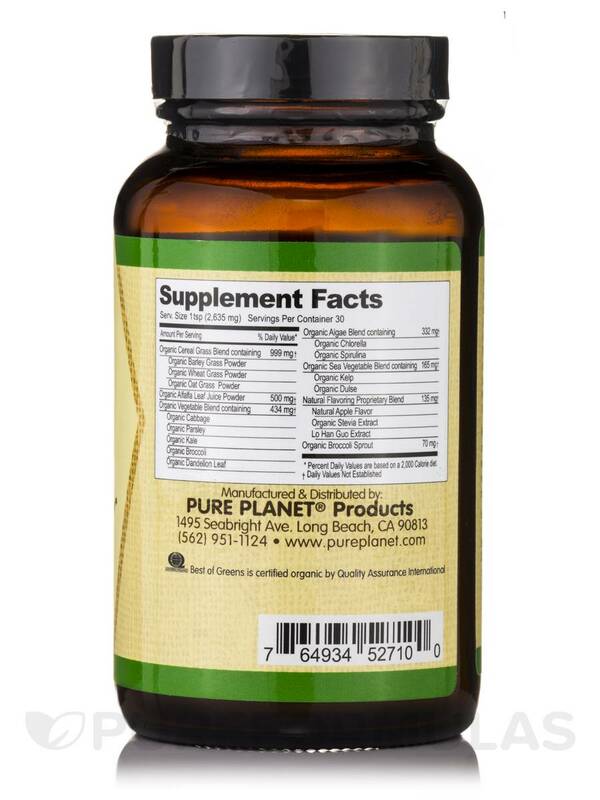 Pure Planet® has sought the most potent and bionutritionally important green plants from every corner of the earth‚ because Pure Planet feel it is vital to consume the widest variety of green superfoods as often as possible. 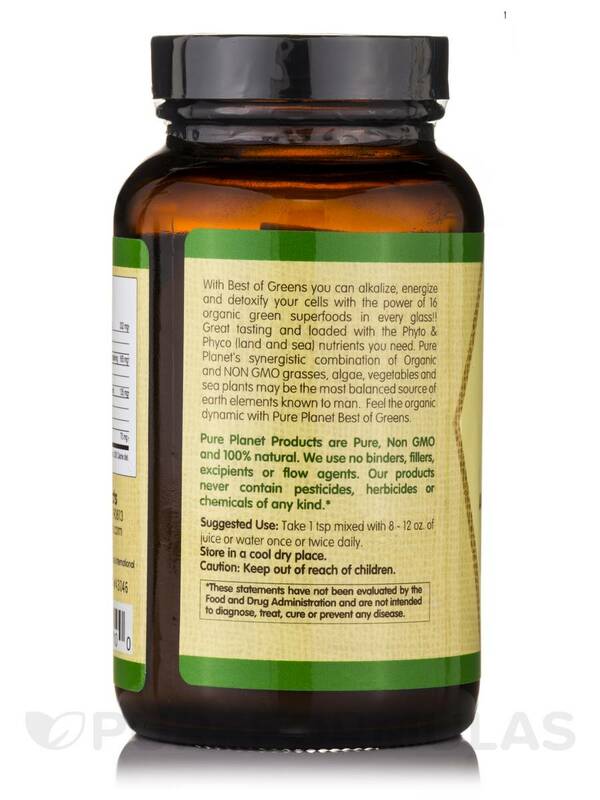 That is why Pure Planet have made Best of Greens™ a great tasting and convenient way to get the green food nutrition your body needs each day. - Is a great source of chlorophyll. 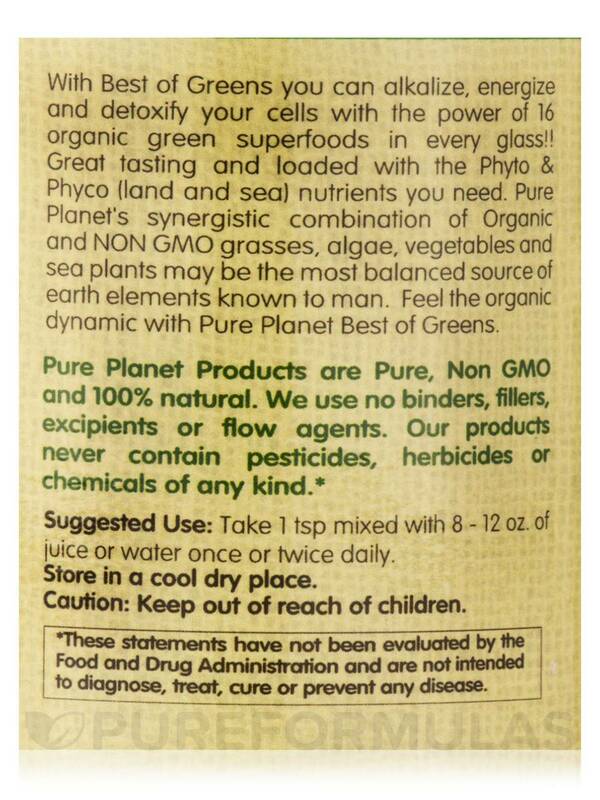 - Can help balance pH levels. - May support increased energy. Ingredients: Organic Chlorella‚ Organic Spirulina‚ Organic Kelp‚ Organic Dulse‚ Natural Apple Flavor‚ Organic Stevia Extract‚ Lo Han Guo Extract‚ Organic Broccoli Sprout‚ Organic Cabbage‚ Organic Parsley‚ Organic Kale‚ Organic Broccoli‚ Organic Dandelion Leaf‚ Organic Barley Grass Powder‚ Organic Wheat Grass Powder‚ Organic Oat Grass Powder‚ Organic Alfalfa Leaf Juice Powder. Take 1 teaspoon mixed with 8-12 oz. of juice or water once or twice daily. 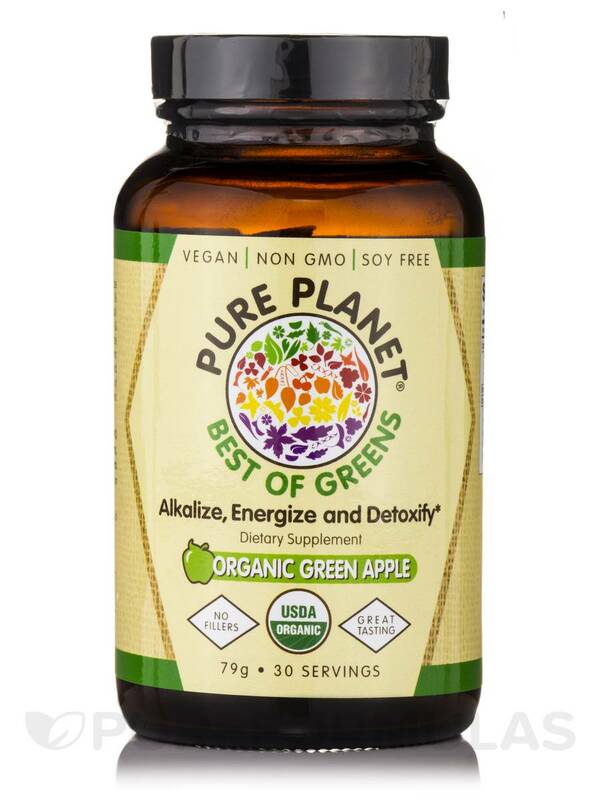 I absolutely love Best of Greens Organic Green Apple Flavor by Pure Planet. I bought it to kind of help give me my boost in the morning and fill in the areas where my daily diet sadly is lacking. It tasted so much better than I expected, I actually mixed into my morning juice smoothie and it was wonderful. The taste & texture blend smoothly. I don't dislike anything with this item. 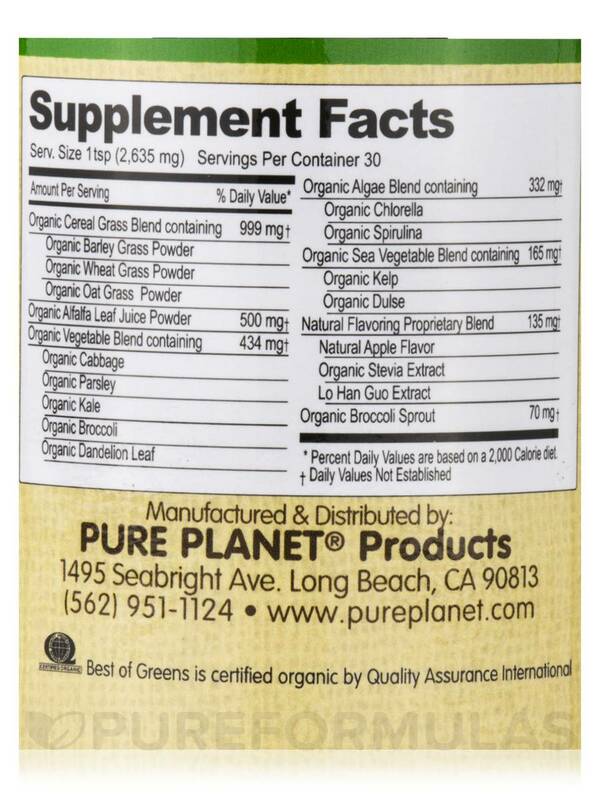 I love Best of Greens Organic Green Apple by Pure Planet. It dissolves great, doesn't have that "algae" smell like others can, and has the slight green apple taste. I use it in my shaker and mix with either water or juice. Not sure this would go great with almond milk, so I've stuck with juice. Didn't upset my stomach, didn't leave an aftertaste, wasn't grainy. Terrific!